Friday Weigh In: Notified: several teams have a match on Thursday. Therefore, there will be an additional 1 pound allowance. Scratch +3 - starts at 2pm. There will be a weigh-out, but all wrestlers must report for skin check! Saturday - weight allowance: 1 pound (Scratch +4) - SKIN CHECK starts at 8am. Parking for all team buses is at The First Baptist Church at 1670 Shatto Ave. Please drop your wrestlers off at Firestone (DO NOT PULL IN THE PARKING LOT. YOU WON`T BE ABLE TO TURN AROUND) and then go directly to First Baptist Church. The shuttle will take you back to Firestone and will be running all day on both tournament days. 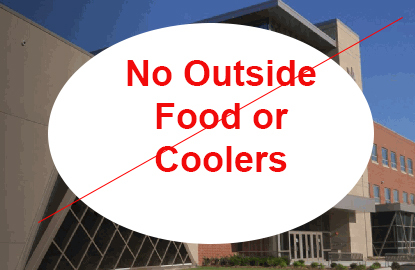 It is the policy of Firestone High School that there is no outside food/drink permitted in the school and especially in the Gym. Team wrestlers only coolers maybe permitted in the cafeteria only. Please respect the Firestone High School policy. The tournmanet is using the Remind app for weather updates in regards to the tournament. The John Cohill Scholarship is open to any senior wrestler who participated in the Bill Dies Memorial.